Peacock Republic is a purveyor of EcoLuxe soaps. I was lucky enough to try their liquid hand wash and facial/body bar soap recently and I knew I had to share it with you as part of our Tea Party. The products I received featured the exquisite Chai Tea Latte fragrance, a spicy, sweet scent perfect for cool Fall days… it actually warms me up! The cinnamon-gingery undertones also remind me of the holidays ahead. Other proprietary Peacock Republic fragrances include Mint Bliss, Lemongrass Love, Lavender Hill, and the evocatively-named Fields of Grace, which is a blend of calendula petals, sage, spearmint and lemongrass. All are available as liquid hand soaps in a pump dispenser or bar soaps wrapped in plantable handmade paper that has been embedded with wildflower seeds. 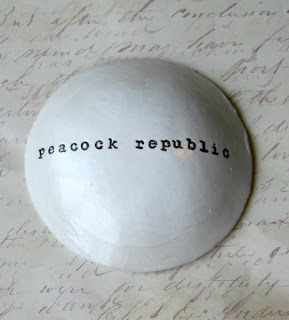 Peacock Republic also offers handcrafted clay bowls and sculptural installation art. To enter and win a set that includes one liquid hand wash and one facial/body bar soap, please visit Peacock Republic and comment on this post with your favorite finds. Let me know which fragrances you prefer in your comment, too. My favorite finds are the hand soaps: Chaitea latte; lemongrass love and mint bliss. My favorite scent is vanilla. Fields of Grace sounds great, but the spiciness of Chai Latte appeals too! wow how fancy, I like rosemary or spiced soaps myself, they are clean smelling! i like the lavender hill hand soap. i'd like the lavender hill fragrance. The lemongrass love face and body soap is my favorite. The Mint Bliss, and Chai Tea Latte scents in both the soap and the hand soap. THey all look wonderful! I think the site is very appeling on the eye and easy to navigate. I think mint bliss is my favorite, but they all look great. Are you ready for the list? My favourite scents are; mint bliss, fields of grace, and lemongrass love. My favourite items are; soap, hand soap, and the Peace hand-crafted bowl. My favorite finds were the chai tea latte hand soap and bar soap. I also really liked the hope aluminum cast birds. My favorite scent is the chai...yum! I thinks fields of grace sounds like a lovely fragrance! I love the bowl that says Peace. What a nice place to put your soap. I like the chai tea latte hand soap. The Lemongrass bar soap sounds great! I love those soap dishes too, and their website design is beautiful. How were you able to number your comments? I've been trying to figure out how to do it, but I think my blogger template isn't compatible with the tutorial I found. Gorgeous site! I loved the Hope birds and how they have them displayed. I would also like to try the fields of grace and chai tea latte soaps. I have subscribed in my aol. I love bar soap. The Lavender sounds lovely. I generally like really clean scents like citrus, grassy scents, and mint. But today I'm in a lavender mood. That is one gorgeous website! If the products live up to that promise they must be amazing! I'd love to find out if the lavender hill soap is as marvelous as the website is beautiful! I love the hand soaps and my favorite scent is Fields Of Grace. I was at Mom Most Trraveled and the post I liked was Christmas Traditions. My favorite holiday ever. I am really into great bar soaps lately so I like the sound of the Lemongrass Love bar soap. 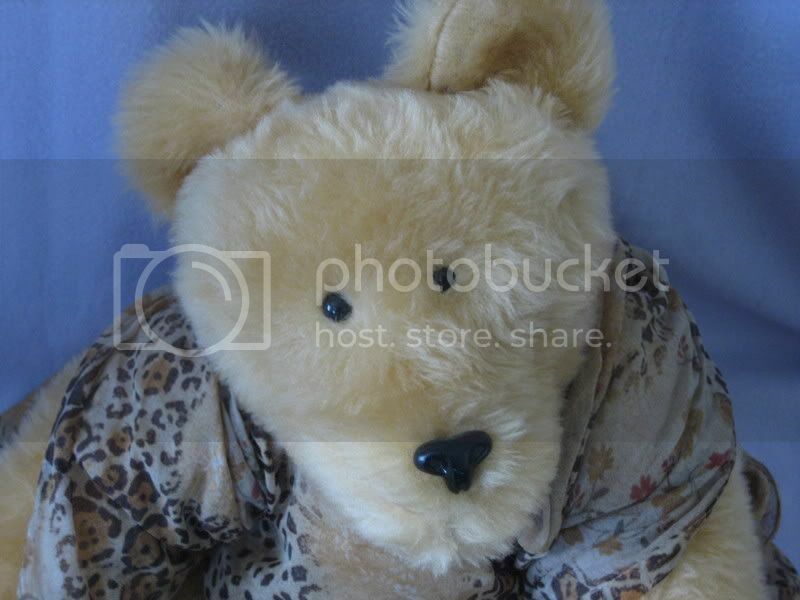 Very chic site! I think the hand soaps have a very neat label design. They'd look really nice on a counter. The chai tea latte scent sounds heavenly. I think the Chai Tea Soap sounds wonderful, and I would definitely get the Chai scent to go along with it. I love that spicy, but sweet scent, and Chai is my favorite thing to drink, as a bonus! I hope I win! Great prizes! I love the little clay dishes with different themes. My favorite scents would be the Lavender Hill, but I think I'd like to try the Chai, too. I would love the lemongrass love bar soap and hand soap. I love citrus smells! I have been enjoying Kathleen's crafty posts, especially the felting and how she showed making ornaments! I would like to try the Fields of Grace bar and liquid soap. 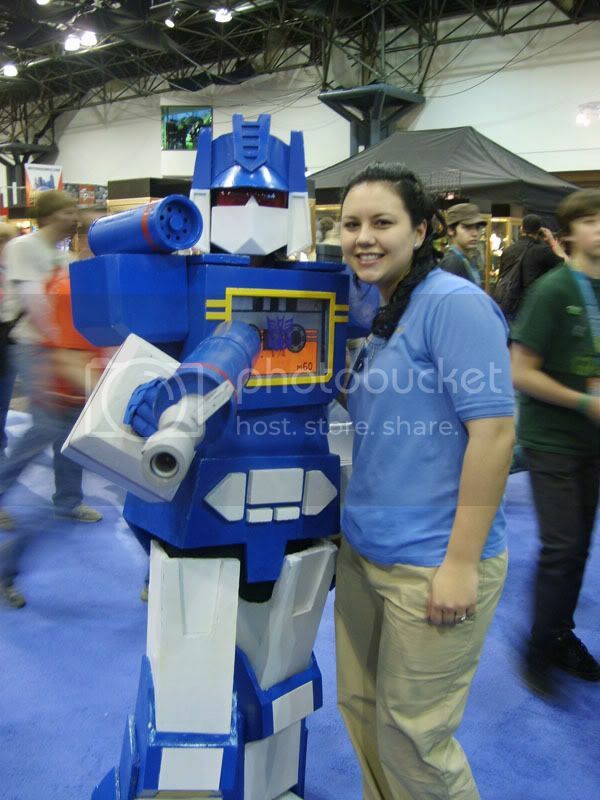 I have your Tea Party button on my sidebar, as well as a blog post about it. It talks about Carlos Mencia (whom my brother & I LOVE watching) & she spoke of the Lil Bush series on t.v. The show cracks me up, hubby & I enjoy watching this. I think the Peace Soap Dish is beautiful! Lavender Hill is something I'd like! The Chai Tea Latte fragrance sounds nice, I'd like to try that one on a cold day and see if it actually warms me up. I like the hand soap and the fragrance Lavender Hill. fields of grace is my favorite scent. The bar soap would probably be my favorite. Lemongrass Love would be my favorite scent. I just love scented bath products. It makes me smell good and leaves the bathroom smelling good, too. The fields of grace facial bar appeals to me. Fields of Grace sounds like the best scent to me. Thanks! I love lavender, so the Lavender Hill soap would be my choice. I would love to try the lavender hill scent hand soap! Your lemongrass love hand soap sounds wonderful! Thanks for a chance to win it! The soaps look lovely! I think the mint bliss and fields of grace sound wonderful! I like the lavender hill soap. I really like the scent of lavendar. Thank you! I love the change bowl, its so pretty. The mint bliss liquid soap sounds great. The Chai Tea sounds great! Lovely site! I like lavender hill best! I like the hand crafted bowl. The spiced suds sounds special to me. My wife loves the chai tea latte hand soap and bar soap. I think "Hope" aluminum cast bird is just beautiful! I have the tea button! Fields of grace soap sounds heavenly. I really like the hand soap, particularly lavender hill. they have a beautiful site. the hand soap in lavender hill would be wonderful. Lots of great stuff! I'd love to try the Mint Bliss soap. love the rosemary soap but any of the herb based soaps would suit me fine!! My favorites are the hand soaps, I love buying them. I'm drawn to the energizing scents so lemongrass love and mint bliss sound so wonderful to me! Thank you! I use a lot of different soaps...we are health care professionals and crazy about keeping hand washing. The scents I'd most like is the lemongrass love. The fields of grace hand soap sounds delightful (but so does the mint bliss, lavender hill & lemongrass love). So hard to choose just one! Lemongrass Love sounds like a fantastic scent! I like the lavender hill soap. 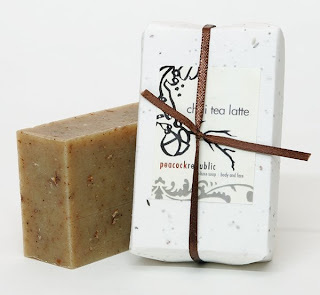 The Chai Tea Latte bar soap sounds like a must have! I like the chai tea latte hand soap, that would be my favorite scent! Lemongrass would be my favorite! Fields of grace seems like it would smell amazing! I like the hand soap in mint bliss. mint bliss and chai tea latte both sound heavenly! I liked the face soap lavender hill. ..My fave scents are Jasmine and Rose. The mint tea sounds great. I love vanilla smells. Fields of grace takes my fancy, as does the lavender mixes, really relaxing. My favorite scent is Citrusy smells, like lemon and orange. My favorite is the Lavender Hill Soap. I am also very fond of the citrus smells so the Lemongrass also sounds very nice. Thanks for the giveaway! The soaps sound wonderful! I would like lavender hill scent. The lemongrass love also sounds nice. Thanks! Their site is lovely! My favorites are the Hope birds and Lavender Hill scent. I'll also go with Lemongrass Love. that's a stylish, well-designed website. i like the lemongrass love. lemongrass is such a great scent. I like the Hope birds and I'd love the Mint Bliss scent. i would like the lavender hill.i really like the smell if vanilla. My favorites are mint bliss and lavender hill. ooo the chai tea latte definetly...its my favorite drink! Ooh, I think I would like the hand soap in Lavender Hill, it just sounds so nice. I love the hand soaps. They would make your bathroom smell delightful! The fields of grace is my favorite scent. lavender hill. I love lavender! I like the sound of the Lemongrass Love bar soap. I'm also subscribed to your feed. I like HOPE (the aluminum cast birds) and would like to try the Lavender Hills scented soap. Love the hand soaps...I think my fave scent would be Mint Bliss. It sounds lovely! The mint bliss soap. I think the mint bliss fragrance sounds nice. I found a soap called 'fields of grace'. I would love to try that one. Sounds wonderful. Chai Tea Latte hand soap is one of my favorite finds. I usually like warm, homey flavors like vanilla and chocolate. lemongrass love sounds wonderful. I love citrusy soaps. The lavender hill soap sounds beautifully fragrant! Mint, lemongrass or Chai sound great! Lavender soap would earn some brownie points with my wife. Lemongrass Love Bar Soap is wonderful; I live lemongrass and lavender scents. 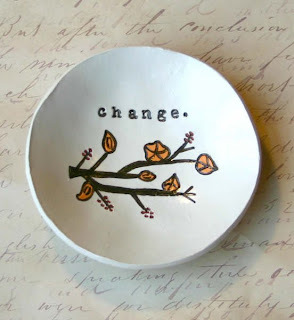 I like the featured hand crafted bowl-change. All the soaps sound nice. Lavender is always nice & soothing. I am a subscriber too! I love the hand soap in the lavender hill scent . Mint Bliss would be my favorite scent. I really like the the pink metal birds--they would be perfect in my bird themed bathroom. My favorites are the Lavender Hill soap and the hand crafted peace bowl. lemongrass love would be a favorite scent and I love the Change hand-crafted bowl. i love these kind of soaps would love to win it. I love Chai Tea Latte! 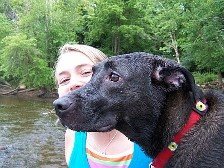 Please count me in and thanks for the contest! I like the handcrafted bowls. My favorites scent is Chai Tea Latte. chai tea latte sounds like something that would really help wake you up in the morning! I like the lavender hill hand soap. Thanks for the chance to win. the field of grace liquid soap and the chai tea latte bar soap. my favorite scents are vanilla ylang ylang and sandelwood. I love the hand crafted bowl Peace, beautiful. I like the mint bliss scent! I think I'd love the Lemongrass handsoap. I like the hand crafted bowl-peace and lavender hill fragrance. I think I would like the Mint Bliss bar soap and the Fields of Grace Hand Soap. I also love their Aluminum Cast Birds. I like the mint bliss hand soap. Chai Latte sounds absolutely great!! The Chai Tea Latte Soap Bar sounds wonderful!! I would love the scent!! I love Mint Bliss and Lavender Hill. Any scent with lavender in it, I want it. The Chai Tea Latte soap looks great! I like the Lavender Hill soap! the mint bliss soap sounds great! The Lavender Hill soap is interesting, I always like lavender.